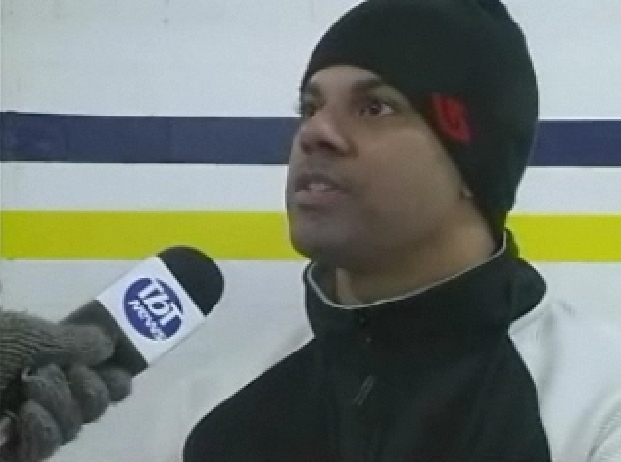 Thunder Bay's Nerwswatch TV programshowed a segment on the Northern Ontario Provincials, won by the Ficek rink. 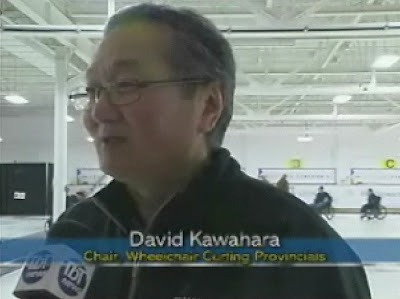 It's all about inclusion, says Dave Kawahara, the driving force behind getting wheelchair established in Northern Ontario. Rookie skip Steve Daniels, an eloquent new voice for the sport, explained: "In Northern Ontario it's very tough to get out in the winter for people with disabilities. So to be able to come out and partake in curling is great for the sport aspect but also for the social aspect and .. I think it's making a big impact in the community." Thanks Eric for including this, I didn't get a chance to see it as I was curling with the Sonego team. The weekend was great and everyone curled really well. Congratulations to Wayne and his team. You will represent Northern Ontario well at the Nationals and Sudbury should be proud for such a fine showing the first time out. Congratulations to the Lesveque team and to the other members of my team for great curling also. It was a pretty even field and made for some pretty exciting games for the viewing crowd.